I really, really, really dislike the international break. There, I’ve said it. The football weekend was boring with no club football to watch on Friday, Saturday and Sunday. Although some great countries faced each other, it cannot match one single round in the Eredivisie. In our own Dutch competition, there is something special about the matches. It doesn’t matter that clubs like FC Dordrecht or Willem II are small and don’t have players like Cristiano Ronaldo or Lionel Messi. When two teams meet in the Eredivisie, there’s always something going to happen. Take the match Excelsior vs. Heracles Almelo for example. Two small clubs who only can hope and dream to stay another year in the top flight. Both teams know that they need to win these sort of matches, because against bigger clubs it’s nearly impossible to walk away with the three points. This guarantees an exciting match between two teams who give it their all. It’s not Arsenal vs. Manchester City or Real Madrid vs. Atlético, but it’s pure football. The battle for possession, the fight for goals and sometimes the clumsiness that is bound to happen in the Eredivisie. Excelsior cannot counter like Real Madrid and Manchester City can easily buy the full line-up of Heracles about thirty times. It doesn’t matter, as long as the game in the Netherlands is just as unpredictable as the FIFA and their decisions about technology. Anyone ever heard of Jeff Stans? If you’re not interested in the Dutch competition you’ll probably never heard of him. 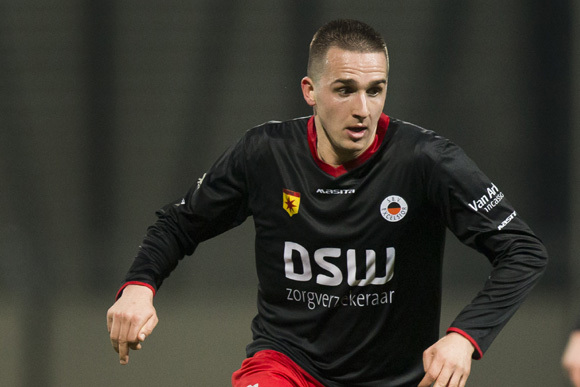 Five years ago still an amateur, but now he has played over eighty games in the Eredivisie, Jupiler League, KNVB Beker and Eredivisie play-offs. In the match Excelsior – Heracles Almelo the player from the homeside scored a more than brilliant goal, which would instantly become internet famous if it would happen in any match in the Premier League, Primera Divisíon or Bundesliga. It happened in our own Eredivisie and I can only thank the players in this competition. They make my weekend awesome, unlike the national teams, playing friendly’s or even qualifications. So don’t give me a break. Not even an international one..